One of the most important decisions you will have to make, after your personal commitment to each other, will be the choice of venue. The venue is the frame that surrounds and captures the beauty and delight of your wedding day. Modern, chic and elegant, Distinction Te Anau Hotel and Villas offers you a luxurious 4 star all-in-one wedding location, including ceremony, reception and accommodation. Distinction Te Anau Hotels and Villas will create a wedding that is uniquely yours. Choose from our wedding packages, or design your own, with the assistance of our wedding coordinator. Distinction Te Anau Hotels and Villas can cater for weddings of all sizes - from an intimate wedding for just the bride and groom to a larger wedding with up to 140 family and friends. Enjoy the experience of a lifetime and this unique landscape by having your ceremony on the glorious lakefront. Distinction Te Anau Hotel and Villas offers the only lakefront glass chapel on Lake Te Anau, and for an outside alternative our expansive Lakeview lawn. Both are perfect ceremony locations for exchanging your vows - with Lake Te Anau and the Fiordland National Park Ranges as your backdrop, and your partner in front of you. Only a short drive from Invercargill and Queenstown, Distinction Te Anau Hotel and Villas is easy to find. You and your guests will be swept off your feet with the breathtaking Fiordland scenery, the luxurious appointed accommodation, exceptional service, and the superb in-house catering. We guarantee your wedding will be effortless, enjoyable and memorable. Distinction Te Anau Hotel and Villas is everything you deserve on your special day. 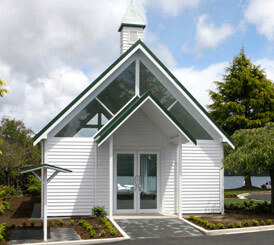 The newly constructed Distinction Te Anau Hotel and Villas Wedding Chapel at Distinction Te Anau Hotel and Villas hosted its first wedding on Saturday, 1 May 2010.